This state best known for cheese has a modest cost of living that includes real estate priced well below the national average and excellent deals on home insurance, whether you rent or own property in Wisconsin. You're more likely to be a homeowner than a renter in this state. 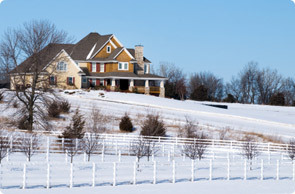 About two-thirds of Wisconsin dwellings are owner occupied, which is slightly higher than the national average. 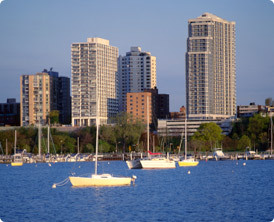 More than two-thirds of Wisconsin residents live in metropolitan areas, including suburbs. Fortunately, the risk of burglaries is covered by insurance policies for property owners, renters and investors. There are very specific policies for live-work dwellings, and another type of insurance that covers homes that are part of farms. Speaking of which, you're like most people if you think Wisconsin's leading industry is agriculture, but it's actually manufacturing. However, a sizeable portion of the manufacturers in the state are food processors. Only California produces more milk and butter than Wisconsin does, although it really does produce more cheese than any other state. Regardless of whether your home contains or juxtaposes your place of work, some of the principal risks that insurance covers have to do with damage from the elements. Wisconsin does have some pretty inclement weather, including extreme temperatures. The large amount of lakes and rivers in the state, combined with significant precipitation, together increase the risk of flooding. Almost one million acres of Wisconsin consists of lakes, accounting for three percent of the state's area. Wisconsin has more than 15,000 lakes. The state has over 13,500 miles of navigable streams and rivers. Wisconsin has more than 800 miles of Great Lakes coastline. Almost 200 miles of Mississippi River shoreline lies within Wisconsin. Some parts of the state get over 100 inches of snow a year. Wisconsin averages about 32 inches of rain per year. The state's highest temperature recorded was 114 degrees Fahrenheit, and the lowest was -55 degrees Fahrenheit, not including wind chill. At least half of the year the temperatures are at or below freezing point. In the northern portion of the state it's about three quarters of the year. A nice thing about this state is that it has such a wide range of options for home insurance. The Wisconsin Insurance Plan offers coverage to homeowners, renters and landlords who are unable to obtain policies through other insurers. This program is considered a last resort, something you don't want to apply for unless you have truly exhausted all other options. WIP premiums run higher than those of other types of insurance, reflecting the increased risk of insuring someone who has trouble obtaining coverage. All property insurers in the state participate in WIP, and typically accompany application rejections with information about the plan. WIP doesn't have any dedicated sales agents, although any insurance agent licensed in Wisconsin can assist you with applying for WIP. While you research insurers, it's a good idea to check in with the Wisconsin Office of the Commissioner of Insurance to find out whether the companies you're considering have had any complaints by customers or disciplinary actions by regulators. You can also find out about a company's license to sell insurance in the state. Obtaining this kind of information ahead of time will save you considerable aggravation later on. Note that there are limits to the data the state insurance office can supply you with – namely, the agency cannot make specific recommendations of insurers. The state's insurance regulator can also help you in the unlikely event that you disagree with an insurer and are unable to resolve the matter. If you're like most people, you won't experience any conflicts that require the aid of Wisconsin's insurance regulator. Your experience with insurers will give you peace of mind and help you feel more secure in your home, whether you own property or rent.